Cell phones are convenient, and as such have permeated almost every aspect of our daily lives. The mobility and ease of transport has been a large factor in the device’s ability to become the most popular digital device of this generation. While smartphones and cellular devices are prevalent, there are still many valid arguments in favour of keeping a residential phone line, especially for those who have limited cell plans or large families. Cellular plans in Canada are pricey and less affordable than they used to be. For example, a decade ago, all incoming calls were included in a cellular package, now cell phone service providers charge for every call whether it is incoming or outgoing. As a result, supplying every member of a 4+ person family is incredibly expensive. On the other hand, a residential line doesn’t charge per call for local calls regardless of who initiated it. Also, most residential phone lines are very affordable. For example, MTI Magnolia Telecom, a Canadian-based residential and commercial phone service provider, has home phone packages starting at as little as $19.95. MTI Magnolia Telecom residential phone packages also include long distance, so there are no monthly price fluctuations. This is important for those on a budget or for new homeowners trying to keep overhead costs low as they settle into their new home. Residential home phones are also a necessity for those living in condos and apartment buildings. A fact to know: a vast majority of the lobby door buzzer systems that help keep high-rise tenants safe are connected to landlines. Home phone lines are also important if you ever need to call for emergency services. “Cell phones use a GPS-based method to report your location in a 911 emergency. That’s fine when you’re on the road, but if you live in a high-rise building, it won’t indicate which floor you’re on,” states a 2014 Consumer Report study. Because a home phone is registered to your address – this includes the apartment/condo number – the 911 operator knows exactly where to send help even if you can’t talk. Another consideration to keep in mind: sound quality. 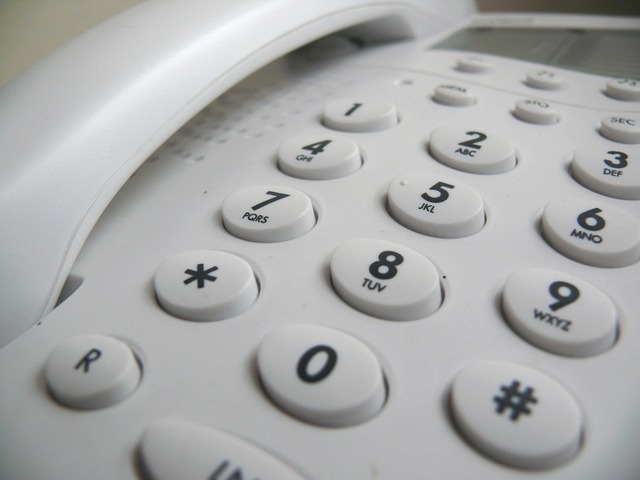 Consumer Reports found that calls over a landline had better sound quality. “In our tests, voice quality for talking and listening on a cordless home phone was generally better than that of the best cell phones—important if you suffer from hearing loss, your household is noisy, or you spend a lot of time on the phone, especially in a home office,” pointed out the Consumer Report researchers. Another reason to opt for a house phone is health safety. Despite cellular device being everywhere, they are still a relatively new technology, as such there is still no definitive data regarding the correlation between prolonged cell phone use and brain tumors and cancer. Last year, California passed a law requiring that all cell phone providers inform customers about the radiation dangers associated with cell phone use. Dubbed the “Right to Know” law, retailers must give customers a handout or display a sign in the store telling them about federal guidelines on the amount of radiation that cell phones can emit and the instructions on safe phone use. “In 2011, the World Health Organization classified the kind of low-energy radiation that cell phones emit as “possibly carcinogenic” because of a link between cellphone use and a type of malignant brain tumor called glioma and a benign brain tumor called acoustic neuroma,” CNN reporter Carina Storrs wrote. Residential lines are also the primary choice for the elderly and immigrants who use them as a primary tool for communication with loved ones near and far.